You’re probably already aware of the Big Ben. Also known as the Great Bell at the northern end of the Palace of Westminster in London, this is the most popular clock tower in the world. It’s officially known as Elizabeth Tower because it was renamed recently to celebrate Queen Elizabeth the Second’s diamond jubilee. The tower itself was built back in 1859, designed in a neo-gothic architectural style. The entire tower stands tall at 315 feet and has a total of 334 steps leading up to the top. This Clock Tower has been a UNESCO World Heritage Site since 1987, and it’s now the most important tourist attraction in London. While visiting London, you should stay at a hotel close to Big Ben, one which might also enjoy a view of the clock tower. 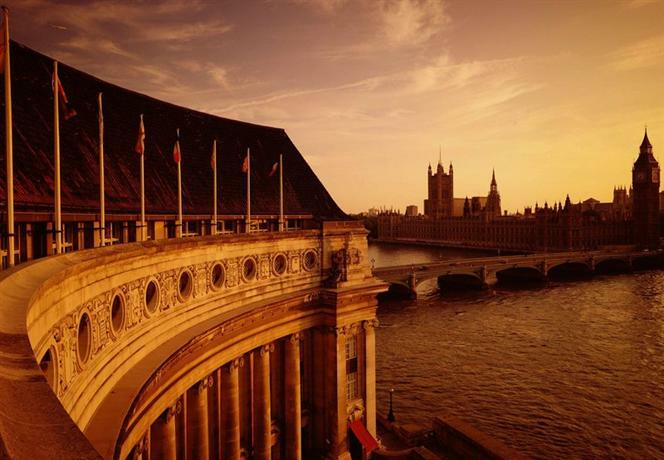 As such, in this article, we’ve compiled a list of the top 10 hotels near Big Ben. The Royal Horseguards is located in the center of London and serves as an excellent spot from which to explore all the prime tourist attractions of the city. It’s located on the banks of the River Thames, and as such it’s within 600 meters of Big Ben. There are several other attractions in close vicinity as well such as the Playhouse Theatre which is basically next door to the hotel, Trafalgar Square which is about 300 meters away, and London Eye which is about 500 meters from the hotel. Even though the hotel is located in such a tourist center, it’s still quite peaceful. Furthermore, you can also walk over to St James’s Park if you’d like some solitude. 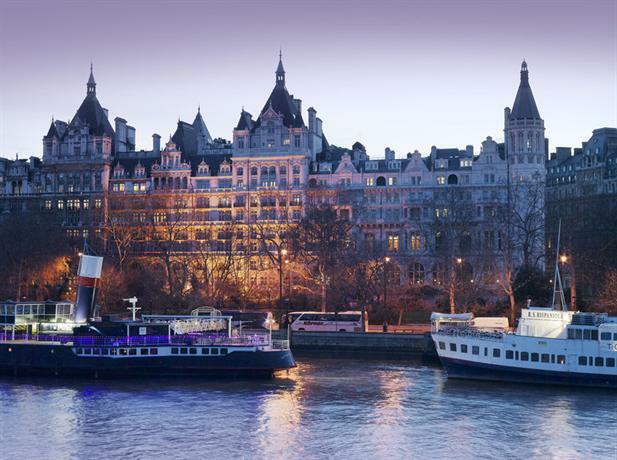 The Royal Horseguards was built back in 1884 in the stylings of a French Chateau. It has undergone considerable renovation since then in order to make it more modern. However, it retains its historic aesthetic charm. This hotel also comes with a rich historical heritage as it was used by MI5 during the First World War. The interiors of the hotel feature a lot of dark wood paneling along with the use of red upholstery on the furniture. The rooms in the hotel are simply yet classically decorated in a manner that it remains faithful to the general aesthetic of the hotel with the dark wood paneling and red curtains. You should avoid getting one of the inside-facing rooms as they look out at a red-brick wall. However, the outward facing rooms are quite stunning as they enjoy a view of Big Ben, the London Eye, and other attractions. Marriott London County Hall is located on Southbank, right next to Westminster Bridge. The building on which it’s built once used to be the headquarters of the Greater London Council, however, it got turned into a luxury hotel in 1998. Located on the south bank of London, it’s a short stroll away from some of the prime attractions of the city such as the Big Ben, London Eye, and the House of Parliament as well. Big Ben is located just 400 meters from the hotel. The hotel exudes an authenticity that can only come from a home with real historical heritage. The lobby walls are lined with old black and white pictures dating back to the construction of the hotel. The walls are all wood-paneled which makes the hotel feel at once antiquated, charming, and warm. The hotel also features some great amenities, such as the presence of 11 meeting rooms, an in-house spa, and even an indoor pool flanked by artificial palm trees. There are a total of 200 rooms and suites in this hotel. You should ideally get one of the rooms that face outwards. Some of these rooms even come with private balconies that look beyond the Thames at the London Eye. You can also distinctly hear the chiming of Big Ben in the distance. The general aesthetic of the rooms consists of red, gold, and white shades. Furthermore, the furniture is made of solid dark hardwood. The primary restaurant in the hotel is also located by the river and it enjoys a view of the London Eye, Big Ben, and the other surrounding attractions. 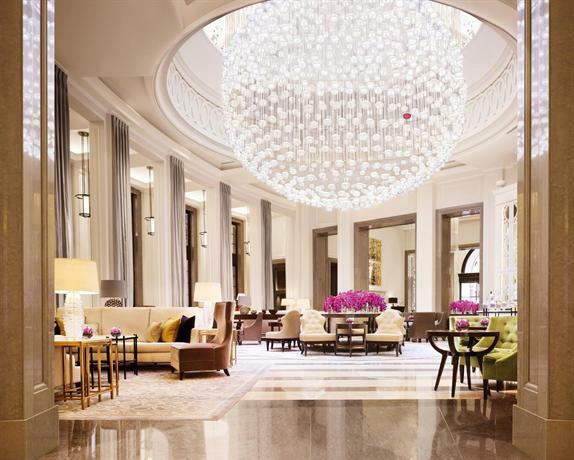 Corinthia Hotel London is located in Charing Cross, close to both the River Thames and Trafalgar Square. And as such, it’s also close to all of the prime attractions that lie beyond the River Thames, including the Big Ben tower, London Eye, and others. This 600-room hotel was first opened in 1885 and it was meant for the elite crowd. As such, the hotel is still incredibly opulent and decadent. In addition to the prime location, it also features great amenities such as a bar, a fitness center, a pool, restaurant, sauna and spa, and various others. Many of the rooms and suites in the hotel enjoy a clear view of the River Thames and all of its surrounding attractions as well. The rooms are decorated in a neutral and earthy color palette featuring beige and olive tones. 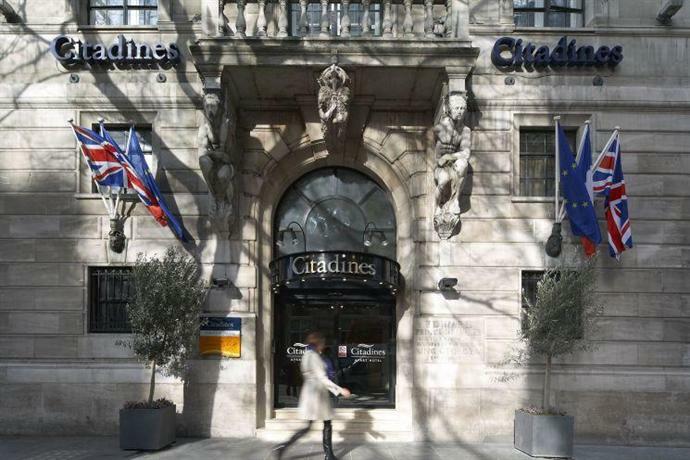 Citadines Trafalgar Square London is located on the busy avenue of Holborn, a street which is close to several of the most prominent attractions in the city of London. As the name suggests, the closest attraction is Trafalgar Square which is about 100 meters away. However, even the Big Ben and London Eye are just a short 700 meters walk away. 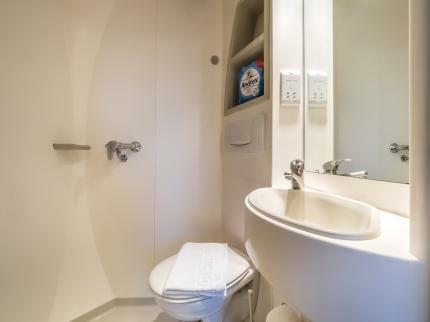 You also have easy access to the Holborn Underground Station which connects you to Heathrow airport and the rest of the city. There are 192 apartments in this building, all styled in a contemporary executive style. If you’d like to be treated to additional amenities and facilities such as a complimentary continental buffet breakfast, you’ll have to check into either the Premium or Club apartments. The Grand at Trafalgar Square is located on Westminster Borough, just down the road from Trafalgar Square. This hotel is also quite near Big Ben and London Eye, both of which are just about 700 meters from the hotel and can easily be approached on foot. The Grand at Trafalgar Square is a hotel built on a Victorian building and it offers all requisite 4-star hotel amenities such as an on-site restaurant, free WiFi, and modern rooms equipped with toiletries, iPod docking stations, and luxury linen. The rooms in the hotel certainly earn the title “Grand” as they’re bedecked in period regalia, furniture, gilded frames, etc. You can also check out Boyd's Bar, which offers a great menu of cocktails amidst a relaxed setting of Italian marble decor. LSE Northumberland House is located in Westminster Borough, approximately 200 meters from Trafalgar Square and about 700 meters from Big Ben. This is the prime tourist location in London, and as such all of the popular attractions are scattered within walking distance from this hotel. At a single stretch, you can cover attractions such as the Savoy Theatre, London Eye, Big Ben, the Piccadilly Circus, House of Parliament, and even Buckingham Palace. LSE Northumberland House is really more of an apartment-type accommodation rather than a hotel, and it also comes with a shared kitchenette and launderette. It’s also used as a residence for students from the London School of Economics, at least during the academic year. As such, if you’re thinking of staying here, you might want to make sure it’s available. Park Plaza Westminster Bridge London is located in the neighborhood of Lambeth, just opposite Big Ben and the Houses of Parliament. If your purpose is to stay at a hotel near Big Ben, this is one of the best hotels for that purpose. 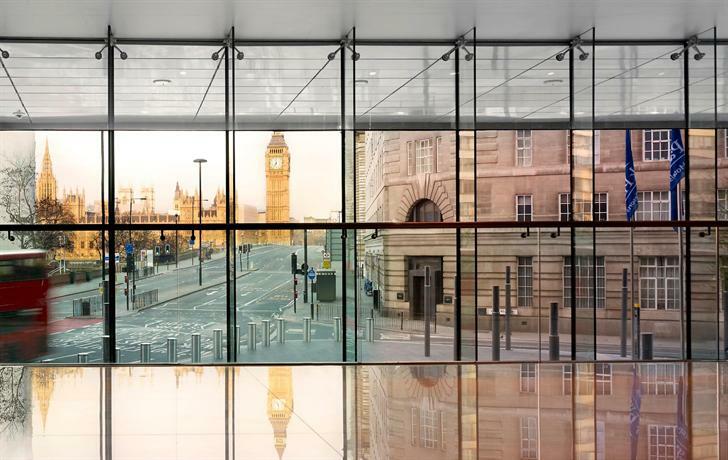 With its location in the south bank of Thames, it’s within a short walking distance of all the primary attractions such as Big Ben and London Eye, all located within a 500-meter radius. Additionally, the hotel also bears some great facilities. It comes with a fully-equipped gym and a 15-meter long swimming pool as well. It also comes with a spa called Mandara Spa which holds a sauna, steam room, and several treatment rooms. 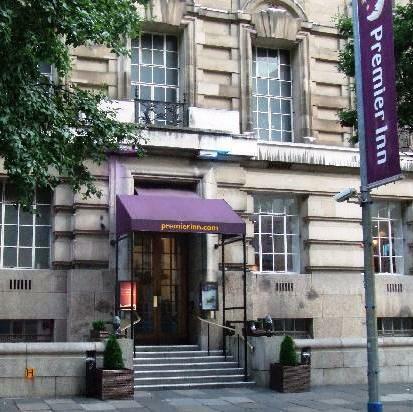 Premier Inn London County Hall is located on Belvedere Road in Lambeth. The closest attraction to this hotel is the London Eye, which is right next to it. However, it’s also located just about 500 meters from Big Ben. This hotel is established in a historic County Hall building, however, it has been refurbished with modern amenities and facilities. They have an on-site restaurant which offers a range of international dishes, and they also offer a complimentary breakfast buffet. Amba Hotels Charing Cross is located in the neighborhood of Westminster Borough, a short walking distance from Trafalgar Square and Covent Garden, both of which are about 200 meters away. The Big Ben tower is about 900 meters from the hotel and it will take you about 10 minutes to walk over to it. This is a 4-star luxury hotel with a vast set of amenities such as a fitness center, an on-site bar, and cleaning services. The rooms in the hotel are spacious, designed in a neutral color palette, and they feature plenty of natural light soaking in through the windows. 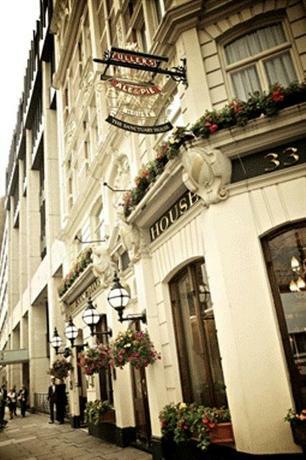 The Sanctuary House Hotel is located on Tothill Street, around the corner of St James’s Park Tube station. 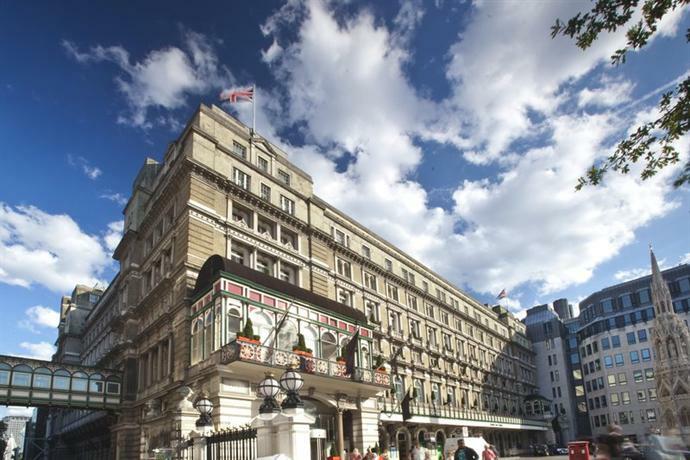 The closest attraction to this hotel is Westminster Abbey, however Big Ben is also just a short 5-minute walk away. One of the main features of this hotel is that it features a pub on the ground floor in which guests can enjoy any meals of the day. The entire hotel has been designed in the aesthetic of that pub with dim lighting and dark brown leather upholstery on all the furniture. 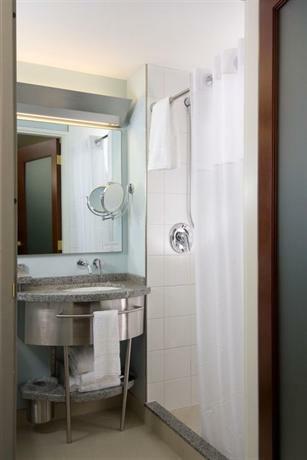 However, the rooms are quite spacious, well-equipped, and brightly lit.